Web content is still in demand however with more focus on social media, will SEO still be needed? The answer is yes. However, there will be changes on what works and what brings more audience. SEO will not die out, but will evolve based on marketing trends. 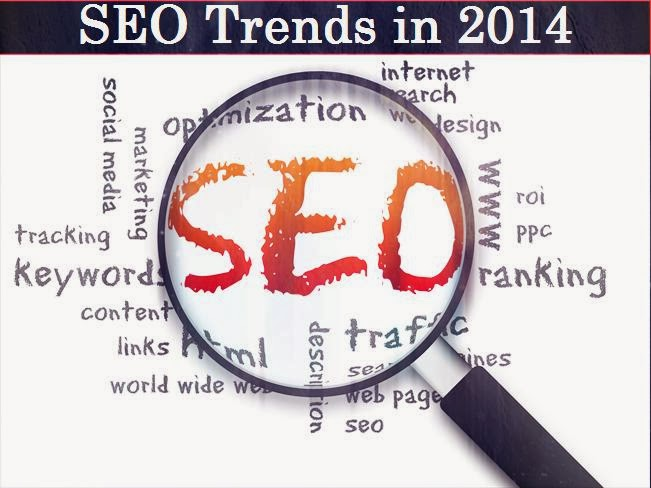 Here are some trends predicted to be on rise this year for SEO. More people are online via mobile phones and tablets. With that, website developers are focusing more in developing better mobile navigation as well. How does this affect SEO and content? You’ll notice that search a particular keyword or phrase gives different results from a mobile phone than a desktop browser. Search engines have evolved and adapted to this demand by considering couple new variables available through mobile users. For example, most mobile phones can gather user’s geographical location. Search results will focus on content that are location or geography-based. When searching for “Yoga course” while you’re in Bali, instead of showing the top website with most keywords and backlinks, it will show among its top results, websites for yoga centers that are in Bali itself. There will be more demand for content and SEO that mentions geographical context. Social networks and sites have becomes last year’s main tool for marketing. This year, it will grow more and social media’s influence on SEO will be more noticeable as search engines will update their algorithms based on this demand. More people are opening Facebook pages rather than a brand’s homepage. Why? It contains more updated content and gives better representation of a business’ reputation and overall image. Notice when you search a keyword or phrase online, at the first set of results, it will most likely include facebook pages that mentions the keyword you search. Unlike before, Facebook pages will only show up if you include the word ‘facebook’ in the search box. Same goes with other social media sites like Pinterest and Google+. Google has evolved with by creating its latest algorithm ‘Hummingbird’. Comparisons on SEO results now result on what answers the search query, rather than relying on backlinks and content with too much keywords. With this, SEO has evolved from keywords to information. For example, when searching for a medical keyword or phrase, results page will now display websites that provide more information, with longer content, rather than those simple articles than spin words into a prolonged introduction or overview. Search the word “cancer”, and notice that the first page shows cancer society sites, medical websites and latest news about cancer, rather than “about cancer articles from content archives. There will be higher demand for quality content that actually gives core knowledge rather than spinned articles that only repeats keywords again and again. Recycled information and spinners will not work as effectively as before. Website owners who hire spinners to cut costs will only drive there page ranking down. Readers will demand quality fresh content, and search engines will do that as well. With the greater focus on quality content, tools that bombard backlinks will no longer be an effective SEO technique. Low quality and high quantity backlinks will only kill a website. What will work this year will be articles with less but high quality backlinks that lead to relevant information-rich websites. With the observed changes in Google’s search algorithm, and the demand for content that answers search queries, there will be an increasing demand for authors who are experts in their own niche. Brands will hire more writers who have more experience and can give precise answers on their articles. There will be a new wave of authors and those who are experts in their own skill will be the SEO writers this year. Daniel Mathews is a representative of Hotelscan.com. Hotelscan.com helps to find the best hotels in Kuala Lumpur.